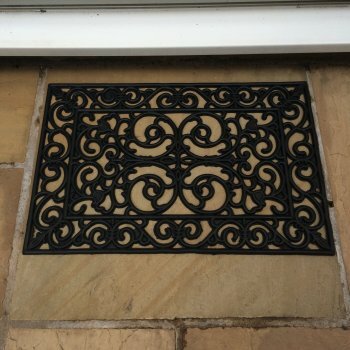 This small rectangular rubber doormat has an intricate swirl design to it. This doormat would certainly bring a touch of class to your entrance. Suitable for indoor or outdoor use.